Richard Hope is the CMO for Jersey Mike's Subs, a fast-casual franchise restaurant chain with over 1700 stores open and under development in 47 states. 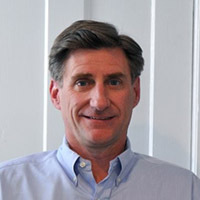 Before joining Jersey Mike's, Richard was president and co-founder of Sirius Advertising, Inc., a full service advertising agency, working with such accounts as Steinway Piano, Central Jersey Bank, Purdue Pharmaceuticals, Student Transportation of America, Global Logistics International, Jersey Mike's and many others, spanning 23 years. As CMO of Jersey Mike's, Rich oversees all brand management as well as national and local marketing activities.